Terius Gray, commonly known by his stage name of Juvenile, is a famous American rap artist, songwriter, as well as an actor. Juvenile debuted in the music industry when he was 19 years old, with the release of “Being Myself”, which came out in 1995. Even though this album failed to generate public interest, Juvenile shook the music scene with “Back That Thang Up”, which was featured on his third studio album called “400 Degreez”. Upon its release, the song peaked at #1 on the Billboard Hot Rap Singles, and by the end of the year maintained a #75 spot on the Billboard Hot 100 chart. In addition to this song, “400 Degreez” produced two more singles, namely “Ha” and “Follow Me Now”. Considered to be a ticket to Juvenile’s fame, the album managed to sell more than five million copies since its release. Following the success of his third studio album, Juvenile came back to “Cash Money Records”, under which he released “Juve the Great”, which featured guest appearances from Mannie Fresh, Birdman, and Soulja Slim and came out in 2003. “Juve the Great” produced a popular single called “Slow Motion”, which was co-written with Soulja Slim. Upon its release, the song peaked at #1 on the Billboard Hot 100 music chart, where it stayed for two consecutive weeks. The album was released a month after Soulja Slim’s death, who was gunned down in November, 2003. Up to date, Juvenile has released 11 studio albums, the most recent of which, called “The Fundamentals”, came out in 2014. A famous rap artist, how rich is Juvenile? Sources state that Juvenile’s net worth is estimated to be $2.5 million, most of which comes from his involvement in the music industry. Juvenile was born in 1975 in New Orleans, Louisiana. Juvenile’s debut album “Being Myself” was followed by the release of his second studio work entitled “Solja Rags”, which came out in 1997. At the time of its release, Juvenile was signed to “Cash Money Records”. “Solja Rags” performed slightly better than its predecessor, as it produced the “Solja Rag” single, and managed to sell more than 200,000 copies. Around the same time, Juvenile became a member of a hip hop group called “Hot Boys”, which also included Lil Wayne, B.G. Rapper and Turk. Juvenile’s rise to prominence started with the release of “Back That Thang Up” single, which brought him a lot of local fame, as well as public exposure. The song was also featured on the “400 Degreez” album, which later received a four-time Platinum certification from the RIAA. Aside from rapping, Juvenile ventured into acting. He made his first appearance in the 2000 film called “Baller Blockin’”, and more recently, in 2013, starred alongside Christopher Walken, Christian Slater and Anthony Anderson in Leone Marucci’s film called “The Power of Few”. Prior to that, Juvenile made an appearance in a television drama series entitled “Treme”, created by David Simon. 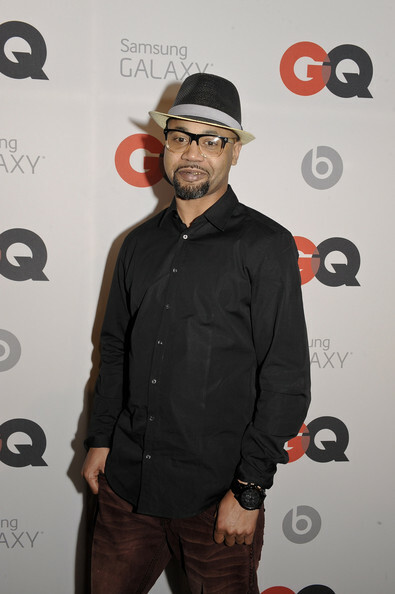 A well-known rap artist, Juvenile has an estimated net worth of $2.5 million. 2 His 2006 album 'Reality Check' debuted at #1 on the Billboard Charts. 3 His solo album "400 Degreez' has sold over four million records to date. (2004). 4 Co-Produced the 2004 UTP single "Noilia Clap". 5 Recieved $1,000,000 in royalties from his final Cash Money Records recording "Juve The Great". 7 He was with Cash Money, left, came back, and then left again after "Juve the Great" to team up with Wacko and Skip. 8 He has made 8 albums to date (2004). Need for Speed: Most Wanted 2005 Video Game performer: "Sets Go Up"
DysFunktional Family 2003 Documentary performer: "I'm a Gangstaz"
Trojan War 1997 writer: "Boom Boom Boom"
Ulee's Gold 1997 writer: "Boom Boom Boom"
Bulletproof 1996 writer: "I Remember That Night"
Phat Beach 1996 writer: "Buck Your Head"
The Substitute 1996 writer: "Boom Boom Boom"
Money Train 1995 writer: "I Remember That Night"
Bad Boys 1995 writer: "Boom Boom Boom"